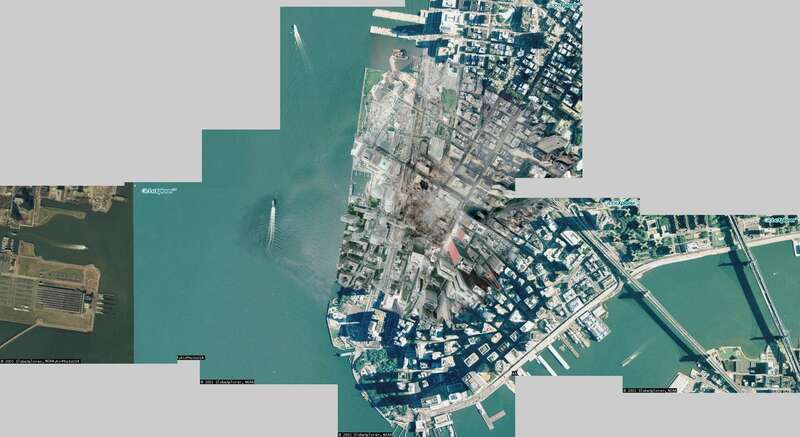 This is what the World Trade Center area looked like before September 11, 2001. This page may take a while to load - but hopefully you will find it useful and get an idea of what that area of Manhattan looked like and what it looks like now. Also it may help to give you an idea of where some of the pictures on the website were taken. 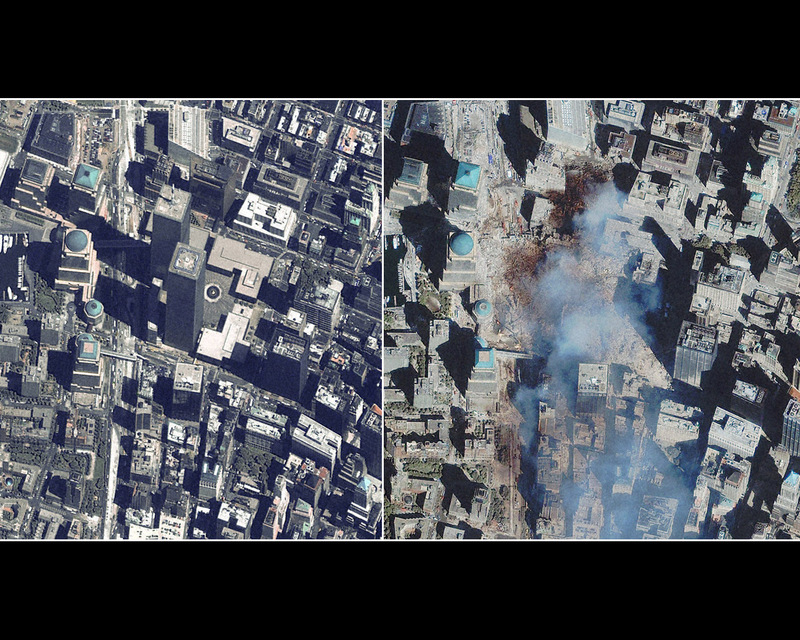 Here is a side by side picture of the World Trade Center site. This will give you an idea of the area of destruction. The left is Liberty State Park in New Jersey (it's from an older satellite image), you can see the area where people catch the Ferry for the Statue of Liberty and Ellis Island on the New Jersey side. Across the Hudson River is Manhattan Island where the Twin Towers once stood. 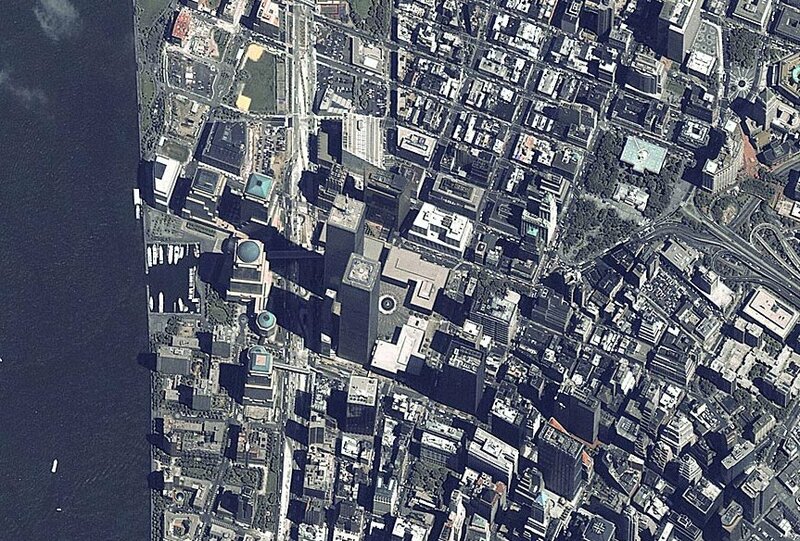 The very lower tip of Manhattan is Battery Park. To the far right you can see the Brooklyn and Manhattan Bridges. I hope this gives you an idea of what this area looks like. I will be including a marked up image to descibe the area, buildings and main landmarks. Here is a rough map of the area. The blank area below Vesey Street is where the Twin Towers once stood. You can see what a hole that puts in Lower Manhattn without those buildings.